If Apple Could Do It From The Start, Why Won’t The Microsoft Surface Launch With 3G? Don't be fooled by Microsoft's claims just yet. For all the buzz about the Microsoft Surface, we don’t know really know the most important things about it yet. We don’t know when it’ll be released. We don’t know how much it’ll cost. As nice as the Surface looks, Microsoft didn’t even say if it would come with 3G, let alone with LTE. And according to Bloomberg, the reason they didn’t announce it is because the Surface won’t: it’s WiFi-only. 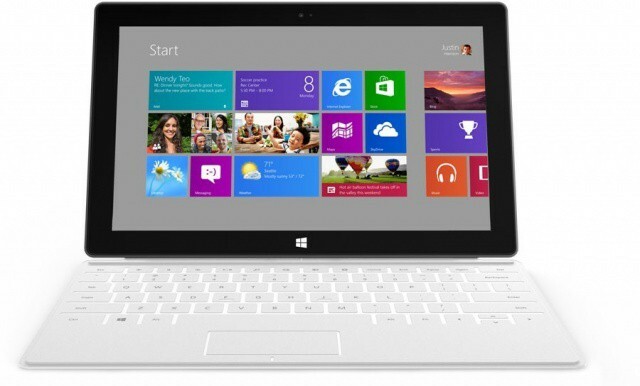 Citing sources familiar with the matter, Microsoft will launch the Surface as a WiFi-only device. No 3G. No LTE. They may come later, but not at launch. On one hand, look, WiFi-only iPads still account for most of the market. And the Microsoft Surface does have a USB connector, so if you want to have some enormous stupid 3G dongle sticking out of your Surface, hey, no problem, more power to you. But there are a couple reasons this arches my eyebrow. First of all, amongst the tech journalists so psyched about the Surface, what they are really excited about is the prospect of uniting two separate gadgets into one: their iPad and MacBook Air. They want to cover tech conferences and keynotes from this thing, and without 3G/LTE as even an option, that possibility is diminished. Second, not launching with 3G/LTE implies to me that Microsoft is having a hard time figuring out how to sell this thing as cheaply as Apple, keep battery life up and maintain the Surface’s extreme thinness. And Microsoft has to undercut Apple on price with the Surface in order to make it a success, while matching or exceeding Apple in features and design. The Surface won’t be D.O.A., that’s for sure. But some of these details are starting to look like trouble for Microsoft. And every day Redmond waits to release the Surface, the closer the next iPad comes to making it look last-gen.